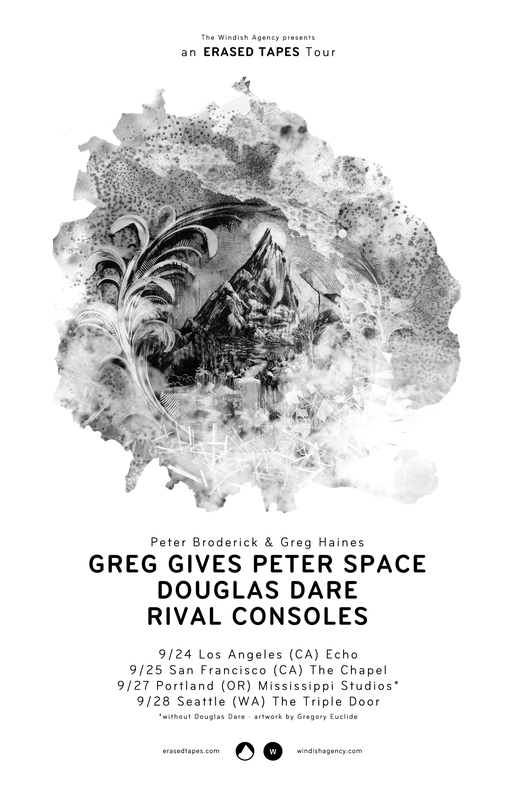 Greg Haines and Peter Broderick bring their dub-inspired project to the west coast of the States for a few special concerts. Support comes from Rival Consoles and Douglas Dare. Next Post Greg Gives Peter Space – Pre-order ticket now!